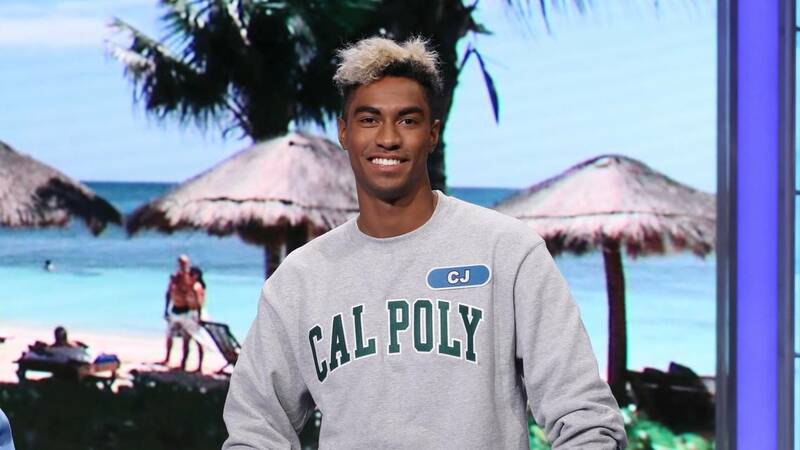 When communications senior CJ Covington decided to try his hand at the show “Wheel of Fortune” last March, he had no idea he’d be so fortunate as to make it all the way to prime time television. Covington’s friends at Cal Poly convinced him to test his talents when the Wheelmobile, described by Wheel of Fortune as a “big, yellow Winnebago that starts with ‘fun’” visited campus. Over a year later, Covington and his bleached blond hair have finally taken to the screen. After his success with the Wheelmobile last year, Covington travelled to Los Angeles this February to participate in the filming of the “Wheel of Fortune: College Week” episode. He said that upon arriving at the set, he felt the experience was surreal. “The set didn’t seem the same in real life as it did on TV. And getting my makeup done was just, well, weird,” Covington said. Covington isn’t the only San Luis Obispo County resident to have taken a spin on the game show stage. According to the San Luis Obispo Tribune, a group of community members have had their shot at winning the big bucks alongside Pat Sajak and Vanna White, including a Cal Poly alumnus. The potential to snag big bucks is what interested Covington the most. “I knew that winning some money would help my family out, giving me the chance to show my parents that I appreciate them by sending some of it back,” Covington said. Covington’s parents and friends from his home town of Kailua, Hawaii, are eagerly anticipating the episode’s run on air. According to Covington, he expects thousands to tune in to “see his mug.” He credits his success on the show to his friends at Cal Poly, as they recognized the talent he could display on screen. Grateful for the opportunity to participate in a program that has been an American television standard for over 35 years, Covington promised that he has bigger and better things planned soon after his graduation this spring. Covington’s appearance on “Wheel of Fortune” airs at 7:30 p.m. April 12 on KSBY.